There is nothing better than a Sangria to spice things up and today we are sharing with you this easy Raspberry Peach Sangria. It is suggested that this be made and stored in the fridge the day before so that all your flavors can blend. Be sure that you plan ahead for your absolute best results. Today we are including a video tutorial from Southern Living. As you will see it’s a gorgeous summer drink that you will love serving up to family and friends. 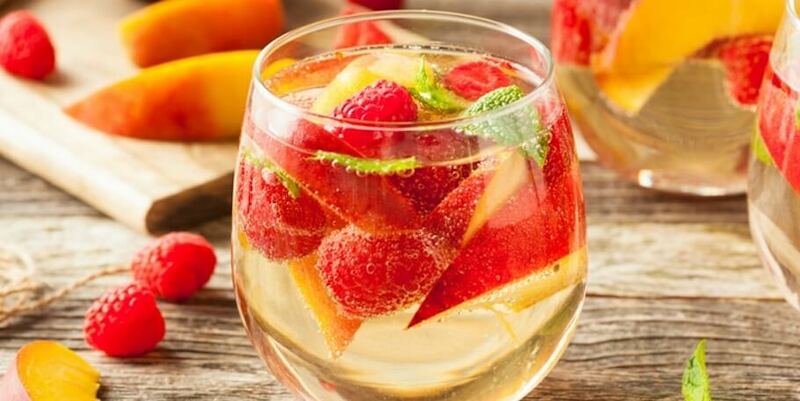 It is very easy to put your Raspberry and Peach Sangria together. Peel your Peaches and then cut them into slices. Remove from fridge, uncover and add 2 cups Club Soda to mixture. Pour into glasses and garnish with fresh mint.